Avoid these four common management pitfalls. It’s been said time and time again: employees don’t leave companies, they leave bosses. Being an effective and engaging manager is imperative for keeping turnover low, but unfortunately there are a lot of common traps that managers can fall victim to. With so much on the line, it’s important for every leader to keep an eye out for easily avoidable pitfalls, harmful management styles, and aspects of the boss-employee relationship that are often neglected. 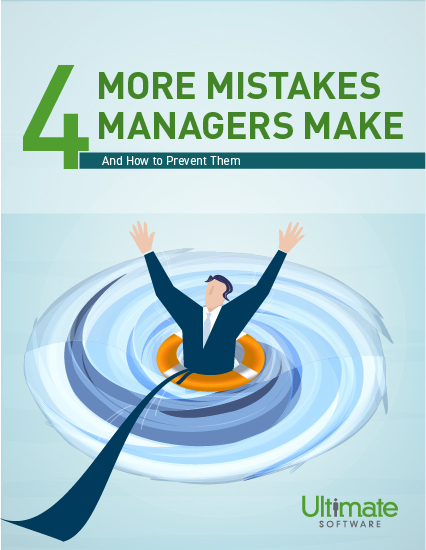 This talent management whitepaper highlights four common mistakes managers make, as well as the tips and tools you need to avoid them.